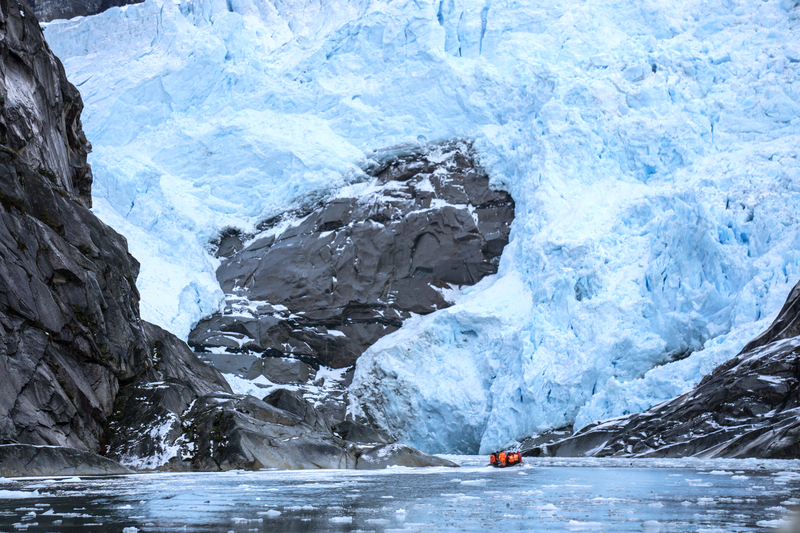 Exploring the glaciers in the Strait of Magellan. I’ve seen the end of the world and it’s beautiful. Heaven on earth. No, I’m not talking about the second coming of Jesus, nor the Zombie Apocalypse, not even about a black hole swallowing up our planet. 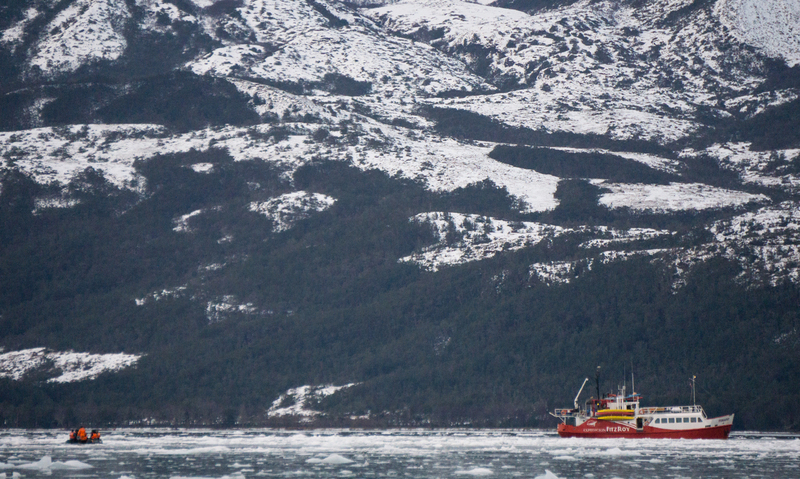 I’m talking about Tierra del Fuego — the wild, rugged, and for the most part, yet-to-be-messed-up tip of South America. While our country looks to sell off huge swathes of public land to the highest bidder and roll back years of progressive environmental policy, Tierra del Fuego and the Patagonia region in general are working hard to do just the opposite. As the governments of both Argentina and Chile begin to realize the value of protected lands and positive environmental policy, the citizens for years took it upon themselves to protect their land and its biodiversity. People just like you and me who love where they live. Civil conservation at its finest. Harberton -- home to the Bridges family for decades. While Tierra del Fuego is far from perfect — the region has seen its share of turmoil during the past century of colonization where a gold rush, over farming, genocide, deforestation, invasive species like beaver, and an oil boom all left their mark — the people that call this place home work hard to create a positive, sustainable future, one that includes both economic growth and tourism. I spent almost two weeks exploring the big island of Tierra del Fuego, and everywhere we went, we witnessed civil conservation in action. Take the lovely “Pioneers Evening” spent at Ushuaia Blanca, led by brother and sister Patricio and Mariela Cornejo. Born and raised on the property, these World Cup-level biathlon racers took great pride in creating an experience that shared with us their history as well as the history of the place. Everything from snowshoeing to dinner in the replica hut of Ernesto Krund, the first postman on the island, right down to the meal they served — lentil stew that was fed to their father by the granddaughter of the first Argentinean to live in Ushuaia, mulled wine they regularly drank to warm up after World Cup races, boozy coffee the mountain road builders drank to stay warm, and calafate dessert to ensure we would someday return. Upon crossing over to the Chilean side of the island halfway through our trip, one of the first stops was to visit the King Penguin Park. Located 112 kilometers along the shores of Useless Bay from Porvenir, this 125-acre private park was carved out of the 25,000-acre farm owned by Alejandro Fernández Vogelhummer and Cecilia Durán Gafo. Back in 2010, a group of King Penguins started nesting at the site and seeing that the government was not going to step in to help protect the animals, the family created a park themselves, complete with full time ranger. 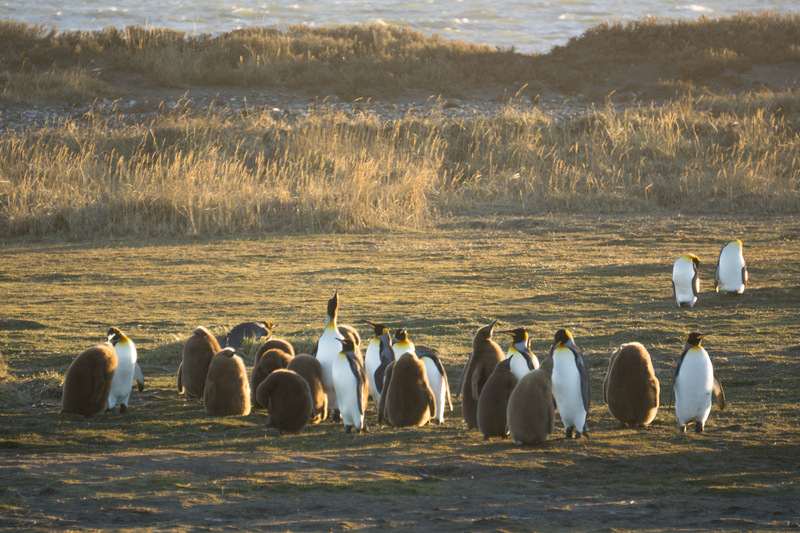 For the past seven years, the park has worked with biologists, archaeologists, veterinarians, and sustainable tourism to help preserve the site and educate the public about the King Penguin and their relation to Tierra del Fuego. Sunrise over Hosteria Las Lengas. Our homebase in Chile was Hosteria Las Lengas, set on the shores of Lago Blanco. 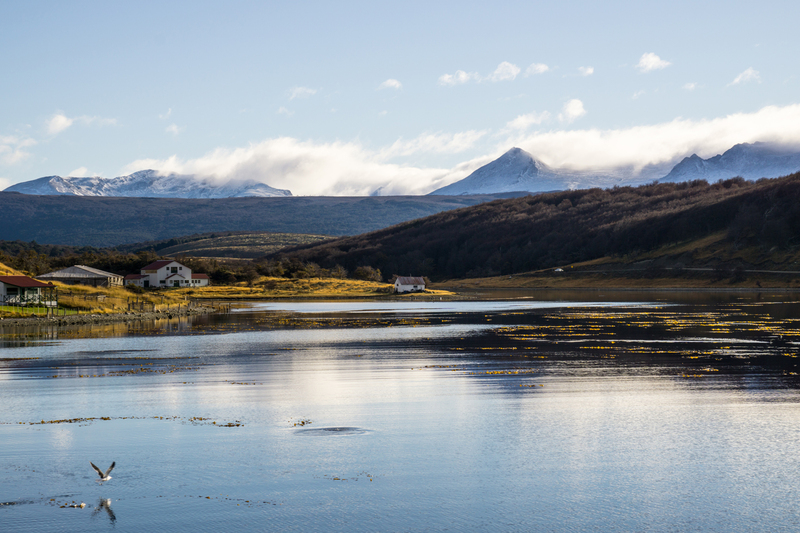 Owner Alfonso Simunovic Ojeda built the place on his family ranch because he wanted to showcase everything this remote part of Chile has to offer — most notably trout fishing. Arriving late at night after a long drive, we were treated to the most spectacular night sky I have ever seen — a clearly visible milky way and shooting star after shooting star. We awoke the next morning to an orb of pink, the sun rising for what seemed like hours behind distant snow capped mountains, with the lake below us, surrounded by frost-covered plains and flanked by thick, fog-filled forest. It was magical. During our stay, Alfonso fed us lamb and guanaco raised on right his ranch and even though it was very much not the season, a couple of our party caught a nice big rainbow trout right off the dock. According to an August 2013 United Nations study, an impressive 308 private parks now exist throughout Chile, covering more than 1.65 million hectares (4 million acres), with more than half in the southern regions of Los Lagos, Magallanes and Los Rios. Doug and Kristine Tompkins played a huge part in creating some of these parks — places like Parque Pumalin and most recently donating land that will create 17 different parks that stretch from the Chilean city of Puerto Montt down to Cape Horn, some 2,000km (1,250 miles) to the south. And over in Argentina, there are 156 private parks in the country, extending over 701,897 hectares (1.73 million acres), according to Fundación Vida Silvestre Argentina. We spent a day hiking in one of these parks — Karukinka Natural Park. Former U.S. treasury secretary Henry Paulson, while president of the New York-based investment bank Goldman Sachs, helped create this 283,000-hectare (699,000 acres) park after purchasing the land from the U.S.-based Trillium timber company when they defaulted on some debts. This fragile temperate forest ecosystem escaped controversial logging plans and is now protecting the largest guanaco population in Chile and abundant marine wildlife, among diverse other flora and fauna species like condor. Our goal for the day was to reach the top of Pietro Grande, a 1600-foot hill located just inside the entrance of the park. The 7 km trail follows Selk’nam mask markers through the lichen-draped lenga forest before emerging onto a wide open summit plateau. From here you are treated to a 360-degree view of the Darwin Range one side, with the Rasmussen River snaking its way through the arid steppe to reach the Strait of Magellan on the other. It felt as though we were on the top of the world at the end of the world up there. Leaving the land behind, we hopped aboard the Forrest for the last couple days of our trip to navigate through the temperamental waters of the Strait of Magellan with Expedición Fitz Roy. Between watching glaciers calve into the sea, polar plunging (the water is really, really cold), epic sunrises, and kayaking amongst whales and dolphins, I got to know hiking guide Gaynor Ferrada and the crew of Kayak Agua Fresca — all passionate about conservation and sustainable tourism. Gaynor is president of the guide association inside Torres del Paine, not to mention an amazing baker. Last year at the urging of the guides, the national park finally instituted a reservation system for the popular W trek. This system is not run by the government, but rather self-implemented in cooperation between the region’s guides and the tour operators who were finally fed up with over tourism in the area. 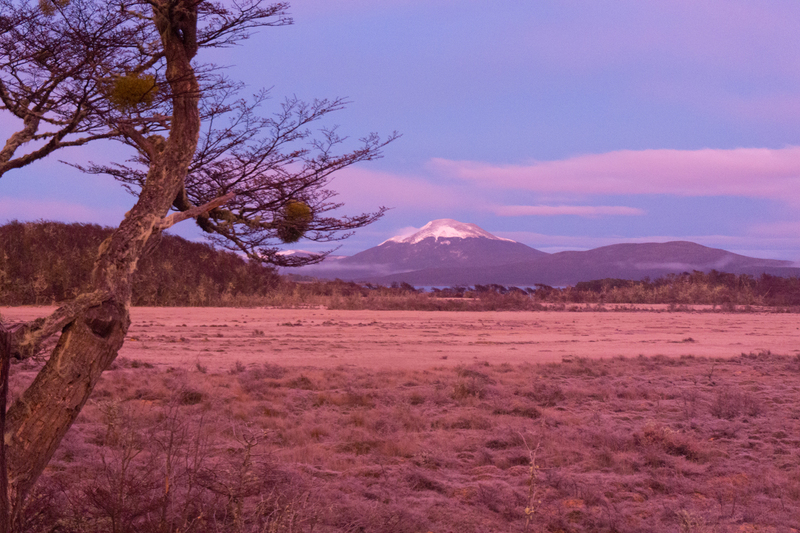 Witnessing the downside of unregulated popularity, the parks in Tierra del Fuego vow not to recreate it. 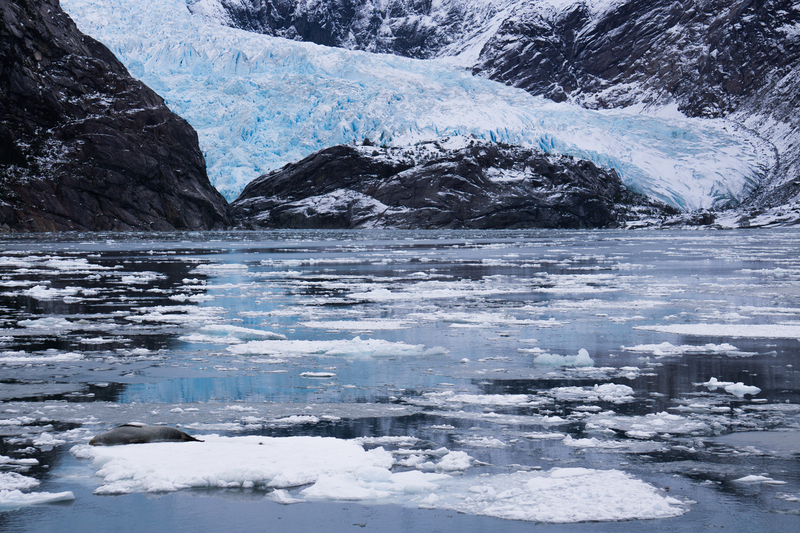 A leopard seal naps in front of the glacier. Another owner, Rodrigo Ortiz, came to Tierra del Fuego from the Canary Islands in Spain. He has seen firsthand what over tourism can do to an island. He is now actively working with local government and tour operators in the region to institute sustainable travel practices. So what can we learn from the end of the world? Perhaps we could convince rich American ‘preppers’ like Elon Musk to stop buying land in New Zealand and buy up swathes of the U.S. to protect instead. 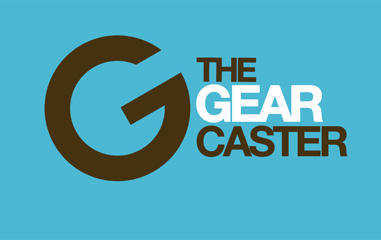 Or we can band together and do our part to promote conservation and sustainability in the places we live. As Chilean guide, Marcelo Noria told us when we arrived at the Museo de Tierra del Fuego in Porvenir, “History is kind to those that write it.” Perhaps it’s time to go write our own history.